Our multi-step process creates a portfolio that’s calibrated to each individual investor. We develop an appropriate blend of asset classes with the goal of providing long-term returns to suit each client’s investment goals while balancing risk. Clarifying your investment goals helps us establish the appropriate benchmark to measure success. Time horizons and income needs can vary depending on whether you’re investing toward retirement, a child or grandchild’s education, or a major purchase such as a second home. Whether you’re looking to grow an investment over the long term or protect a shorter-term investment, we’ll help you set goals that we believe to be desirable, realistic, and achievable. Next comes the cornerstone of our process: asset allocation. The Hennion & Walsh investment approach holds that overall portfolio performance is determined primarily by the performance of the combination of its major asset classes, not the performance of its individual components. Furthermore, we encourage diversification across a range of asset classes and sub-asset classes to help insulate the portfolio from wide market fluctuations; a portfolio that is overly invested in a single asset class can expose the investor to unacceptable levels of risk. In planning your portfolio, we consider the full range of available asset classes, including the major categories of stocks, bonds, and cash (including money market funds), as well as certain non-traditional asset classes such as real estate, precious metals, and other commodities. We further break down these major asset classes into sub-asset classes by looking at factors such as market capitalization, style, regional focus, multinational focus, quality ratings, dividend yield, and other factors. We then analyze the risk-adjusted performance of each of these sub-asset classes over time, both in isolation and in concert with the broader markets. This allows us to discern to a high degree of specificity which combination of asset classes is best suited to your investment goals, and which sub-asset classes may compliment the strengths or counterbalance certain areas of risk within your existing portfolio. After our research team has completed a series of rigorous analyses, you will receive a customized blend of asset classes that our research suggests will be most likely to satisfy your investment goals in the time frame you desire. Our planning doesn’t end with asset allocation. We recognize the importance of investment managers, and mutual funds in some cases, when it comes to optimal performance. 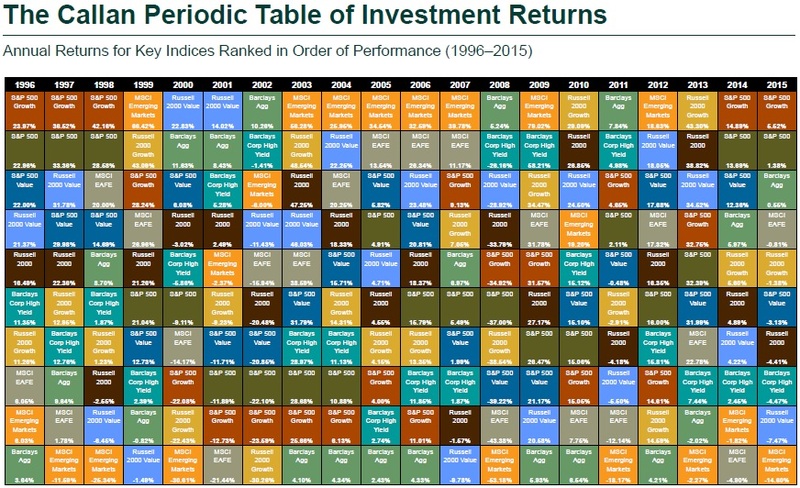 Just as with asset classes, diversification here is critical. We strive for a mix of approaches from aggressive to conservative that are blended to attempt to deliver returns consistent with your investing goals. Because we perform primary research on every money manager we work with, we have access to extensive data sets and impartial analysis that help us to determine with a high degree of confidence the suitability of a manager to a particular portfolio with respect to their associated asset class. After combining these considerations with criteria for asset allocation, we produce a multidimensional portfolio that’s balanced across asset classes and managers, giving your investment greater breadth, depth, and stability. Some wealth managers rebalance portfolios according solely to a predetermined time period. We take a different approach, and depending on the program you are invested in, we monitor your portfolio and look to rebalance whenever your exposure to a particular asset class falls out of a predetermined range in accordance with a predefined review schedule. This approach mitigates the effect of swings in the market and potential concentrations in certain asset classes. At Hennion & Walsh, we pride ourselves on keeping clients involved and educated. You’ll have online access to information about your account whenever you desire, and we issue monthly client statements and quarterly performance reports for every portfolio. These reports include the performance of your account after fees, so you’ll never have to do extra calculations or research to determine how hard we’re working for you. Because we want your investment to succeed as much as you do, our research team will continue to monitor your account and make changes as necessary. In so doing, the research team will notify your investment representative promptly so they can explain the rationale behind these changes. Should you ever have any questions or concerns regarding your portfolio, your dedicated investment representative is always available to you. Diversification does not insure profit or protect against loss in a declining market.